Book Making: Would you risk $85 on a chance to put "AWARD WINNER" stickers on your books? Would you risk $85 on a chance to put "AWARD WINNER" stickers on your books? There are many award programs in the book business. Some of them seem like scams, with the primary purpose being to generate income from entry fees. I have not made my mind up about the value of book awards. They undoubtedly make winners feel good and losers feel bad. Winning provides an excuse to send out a press release, but I'm not sure if winning books sell better because of the awards. However, if you (and others) believe in the merit of your book, it probably won't hurt too much to take a chance for a hundred bucks or so. 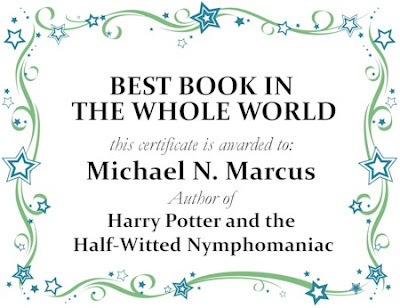 Keep in mind that few readers will recognize the name of the award. Even the National Book Award, established in 1950, will mean much less to the average person than Oscar, Emmy, Golden Globe or Pulitzer. If the name of the award-giver means little or nothing to the public, it may make sense to concentrate on contests with low entry fees and few entrants -- rather than go after one of the major prizes. The IPPY Awards are not fakes, and are apparently the world’s largest book awards contest and the longest-running unaffiliated contest open exclusively to independents. There are now just 15 days until this year's final entry deadline of Saturday, March 20th. The IPPY Awards reward those who exhibit the courage, innovation, and creativity to bring about change in the world of publishing. These awards include the Regional IPPY Awards for Best Fiction and Best Non-Fiction in eight U.S. and two Canadian regions. It costs just $45 to add the regional entry to your regular IPPY category entry. Also, every book entered is also considered for our Outstanding Books of the Year awards, at NO EXTRA CHARGE. So, you can enter three contests at once for just $130. Launched in 1996, the Independent Publisher Book Awards are designed to bring increased recognition to the deserving but often unsung titles published by independent authors and publishers. Open exclusively to independents, the "IPPYs" recognize the year's best books and bring them to the attention of booksellers, buyers, librarians, and book lovers. 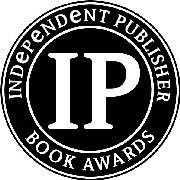 The IPPY Awards contest is among the largest and most recognized book awards events in the world, and all independent, university, small press, and self-publishers who produce books written in English are eligible. Titles copyrighted 2009 or 2010, or that were released in 2009 or early 2010 may be entered. National category entry fee is $85; Regional category can be added for $45; Outstanding Books of the Year consideration at no extra charge. Final deadline is March 20, 2010; enter online or postmark entries by that date. The 5th Annual Regional IPPY Awards go to the Best Fiction and Best Non-Fiction Books in eight U.S. and two Canadian regions. If your book is written or published with a regional focus, don’t miss the opportunity to extend your exposure and increase your chances of winning a regional Independent Publisher Book Award. Disclaimer. This blog posting is NOT meant to be an endorsement or recommendation of the IPPY awards, or the company behind it -- The Jenkins Group. Jenkins conducts several awards programs, provides various services to publishers, and is also a pay-to-publish company (a.k.a. a vanity publisher). I have not examined any of their books or heard complaints from any of their authors, and their website seems to be forthright and non-sleazy.